2,800 interested parties apply for UAS Integration Pilot Program » UAV DACH e.V. The Federal Aviation Administration says commercial drone companies make up the majority of more than 2,800 interested party applications to the U.S. Department of Transportation’s (DOT) UAS Integration Pilot Program announced in October 2017. The FAA reported that energy companies, law enforcement agencies, insurance providers and software firms have also submitted applications. State, local and tribal government bodies can participate as lead applicants in the program and serve as the primary point of contact with the FAA. The next program deadline is Thursday, Jan. 4, when lead applicants must submit additional information to the FAA. After evaluating all the applications, DOT will select a minimum of five partnerships. By May 7, the lead applicants and the FAA will enter into a memorandum of agreement. President Donald Trump established the program to speed up the integration of UAS into the national airspace system by creating partnerships between government bodies, UAS operators and other private stakeholders. The goal is to conduct advanced UAS operations safely and with public support in affected communities with oversight by the FAA. According to DOT, the program will help tackle the most significant challenges in integrating drones into the national airspace while reducing risks to public safety and security. 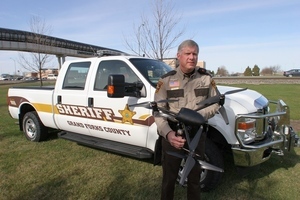 The program is designed to provide greater regulatory certainty and stability to local governments and communities, UAS owners and operators who are accepted into the program. The pilot program will evaluate a number of operational concepts, including night operations, flights over people, flights beyond the pilot’s line of sight, package delivery, detect-and-avoid technologies, counter-UAS security operations, reliability and security of data links between pilot and aircraft, as well as local management of UAS operations subject to FAA oversight. Industries that could see immediate opportunities from the program include commerce, photography, emergency management, precision agriculture and infrastructure inspections and monitoring. Beitrag im Original auf http://theuasmagazine.com/articles/1801/2-800-interested-parties-apply-for-uas-integration-pilot-program, mit freundlicher Genehmigung von The UAS Magazine automatisch importiert, Original in englischer Sprache.